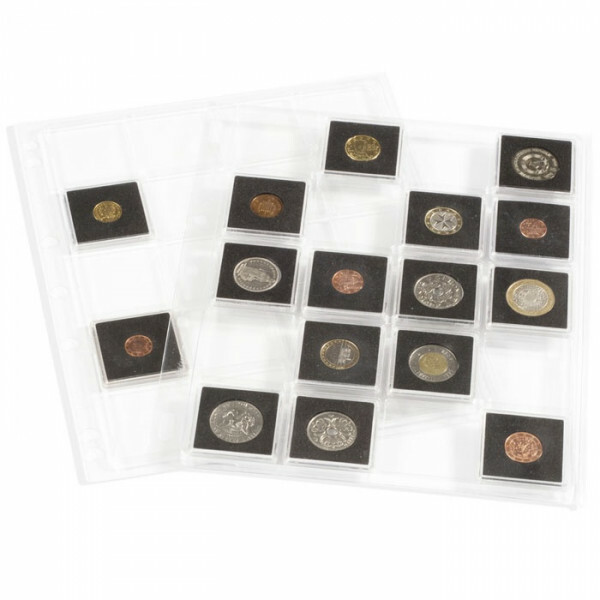 ENCAP pockets to hold 20 square coin capsules QUADRUM 50 x 50 mm. They are made from high quality, very sturdy, transparent plastic, allowing viewing on both sides of your coin capsules. 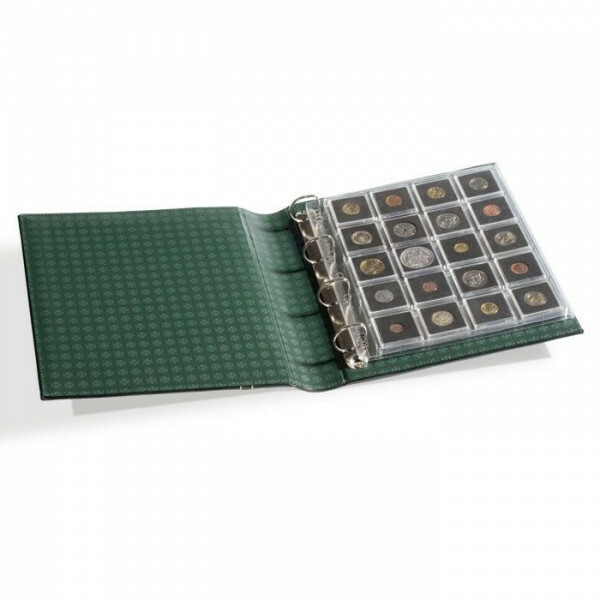 Plastic sheets ENCAP, clear pockets for 20 Square coin capsules QUADRUM 50 x 50 mm Finished Size: 240 x 282 mm. The shells can be stored in all GRANDE-ties.